Ocean Vistas is an 11 story premier luxury condominium located on 2.5 acres of beautifully manicured and landscaped oceanfront. This beautiful complex features 108 units with 2 and 3 bedroom floor plans that come with a minimum of 2000 sqft. All units include summer kitchens and oversized glass balconies for unobstructed views of the ocean. 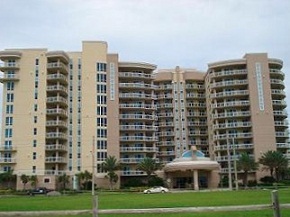 The developers of Ocean Vistas spared no expense when they built this premier development. Pairing high-end finishes with sophisticated style, these luxury residences are sure to satisfy even the most discriminating buyers. Other deluxe amenities include: a private oceanfront clubhouse, underground parking, an outdoor heated pool and an advanced video entry system.